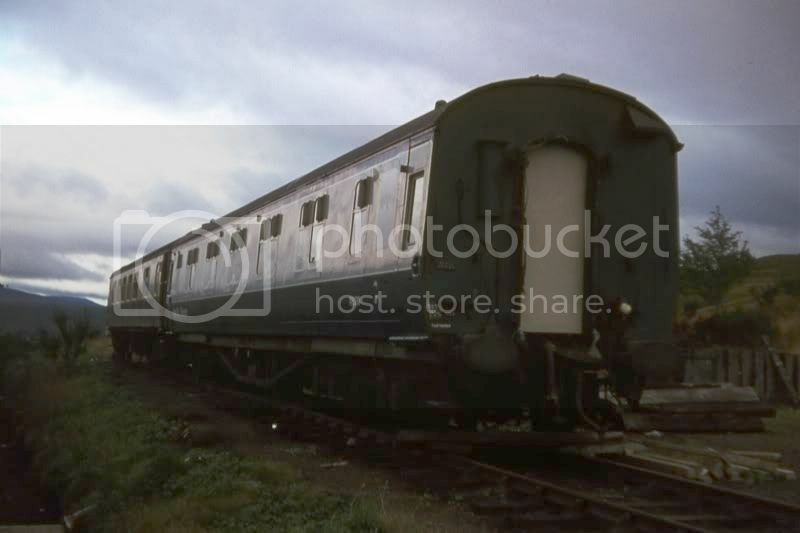 I've been looking for some ideas to model some oddities and after seeing a few photos of pre-nationalisation coaching stock in BR blue & grey it looks like I might have some ideas. I'm fully aware of the Gresley buffets that survived into the blue/grey era and also some GWR sleeping cars that also gained blue/grey. I also have a phot of an LMS porthole corridor brake 2nd in blue/grey. Does anyone have a list of what other big four coaches that managed to survive to gain blue/grey??? I know it is a subject that has been covered in depth on there. Just using my memory just a few ordinary coaches were repainted blue grey, these included a couple of Hawksworths and some Stanier Porthole brake second corridors. All other stock was catering, sleeping, mail or parcels coaches. I think there were a few Gresley BGs too. Several LMS sleeping cars made in into b/g and ran in dedicated rakes rather than being mixed with BR sleepers. One ended it days parked on the West Highland Line as a staff mess coach I believe. At least two Thompson buffets also made it and were normally used on the Kings Cross - Cambridge "Buffet Bar Express" workings. Among Pullman cars the Brighton Belle units all ran in b/g as did the Golden Arrow cars. It's worth remembering also that some of the pre-nat stock roamed far and wide such as Gresley buffet W9135E which ended its days at Cardiff Canton and often turned up in Cardiff - Portsmouth trains. Here's the WHL one, whose number I can't make out and failed to record separately, parked in the siding at Bridge of Orchy in August 1976. Dumped with what appears to be a former Met-Cam Pullman car converted to overnight catering vehicle. Several LMS sleeping cars made in into b/g and ran in dedicated rakes rather than being mixed with BR sleepers. One ended it days parked on the West Highland Line as a staff mess coach I believe. At least two Thompson buffets also made it and were normally used on the Kings Cross - Cambridge "Buffet Bar Express" workings. Among Pullman cars the Brighton Belle units all ran in b/g as did the Golden Arrow cars. It's worth remembering also that some of the pre-nat stock roamed far and wide such as Greasily buffet W9135E which ended its days at Cardiff Canton and often turned up in Cardiff - Portsmouth trains. Most of the SR EMU's that survived in to the mid-60's were repainted into BR blue, although few (if any?) made it into blue/grey. e.g 4 SUB, 2 BIL, 4COR. and of course, the ex LPTB Vec and Tis units of the IOW, which did get a blue/grey livery for sure. At least one LMS sleeper was sitting in poor external condition in a siding at Horsted Keynes on the Bluebell Railway when I visited in 1999. It was in BR blue and grey. That would make a nice model...special edition maybe? Assuming that there is already a model of this in a more conventional livery. Weren't Hornby or Bachmann talking about releasing some porthole stock??? Bachmann already do porthole stock, including a brake third that looks to me very much like the one in the picture. LMS and LMS design Wirral and Southport EMUs made it to blue/grey too. It was nice when I saw it. http://PaulBartlett.zenfolio.com/lmscoach/e37460beealthough these are BR built coaches. The LMS Carriage Association ( http://www.lmsca.org.uk ) are trying to assemble a comprehensive list of blue/grey pre-nat stock. Brian Kirby has recently done a thread on repainting Bachmann LMS Portholes. I would have thought one in blue-grey might make a nice commission for someone.